Exciting developments and news are happening at Project Oz so fast, it’s hard to keep up! Below are the highlights of the last several months. Please sign up for our newsletter HERE so you don’t miss any future news. As Project Oz celebrates its 45th year of operation, we also say good-bye to Peter Rankaitis, Executive Director, as he too celebrates his 45th year and retires after founding Project Oz in 1977. This October there will be a changing of the guard at Project Oz, as I retire from my position as the agency’s Executive Director. My wife, Chris Carlton, and I founded Project Oz 45 years ago as college students, working out of a borrowed building on Washington Street. This organization has grown and expanded in ways that I never could have imagined at 19. I am proud of the role I played in that development and feel privileged to have been a positive part of the lives of so many young people in our community over the years.I am also sincerely thankful for all of the dedicated co-workers, wise colleagues, and strong friends and supporters who have joined me on this journey.You make our work possible. 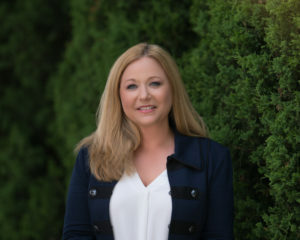 The Board of Directors has chosen Lisa Thompson, our current Vice President of Operations, to lead the next chapter at Project Oz as our new Executive Director. Lisa is the perfect candidate. Since joining Project Oz as an intern 23 years ago, she has been an integral part of Project Oz’s success. With Lisa’s strong leadership, enthusiasm, and dedication to youth, I have no doubt that great things are in store for the agency. Project Oz staff will continue to put our founding values into practice every day and create safe places, where young people are treated with respect, connect to caring adults and community resources, and learn the skills they need to achieve their goals and lead happy, healthy, productive lives. Thank you for your continued support of Project Oz! 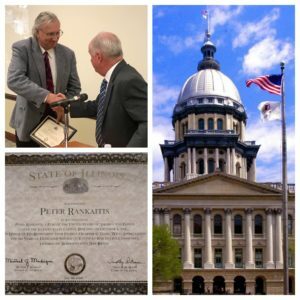 On October 4, 2018, a flag was flown over the Illinois State Capitol in recognition of Peter Rankaitis’ legislative advocacy. At dusk, the flag was brought down and sent to him as an honorary memento. A bipartisan resolution was confirmed, signed by the Speaker of the House, and presented by Representative Dan Brady for his outstanding achievements in public service and support of young people in Illinois. We wish Peter well, and echo his sentiments as we welcome new Executive Director, Lisa Thompson! For more information, please visit our YOUTH EMPLOYMENT PAGE HERE. BLOOMINGTON — Two-thirds of teens who report abuse of prescription drugs get them from family and friends, and many of those drugs are gradually taken from medicine cabinets without loved ones knowing. “We want to get unused and unneeded prescription drugs out of medicine cabinets,” said Lisa Soliday, prevention specialist with Project Oz, which helps at-risk youth. Central Illinoisans will have another opportunity on Oct. 27 to safely dispose of no-longer-needed prescription drugs. The occasion is the 16th National Prescription Drug Take Back Day, a twice-yearly event that allows people to safely dispose of unneeded or expired prescription drugs. From 10 a.m. to 2 p.m. Oct. 27, thousands of sites nationwide, including several in Central Illinois, will accept drugs for safe disposal. The U.S. Department of Justice’s Drug Enforcement Administration sponsors National Prescription Drug Take Back Day to reduce drug abuse and addiction, overdose deaths and accidental poisonings by keeping medicines away from people who shouldn’t have them. A second goal is to discourage disposal of medicine by dumping it down the toilet or sink, which means the medicine could end up in the water supply. 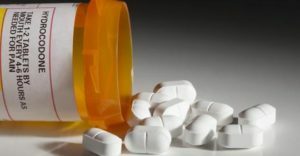 During the 15th drug take-back day on April 28, a record-high 949,046 pounds of drugs were collected at 5,842 sites nationwide, according to DEA. That included 37,172 pounds of drugs collected at 196 sites in Illinois. All 15 drug take-back events have collected 9,964,714 pounds of drugs, including 481,732 in Illinois, DEA said. Agencies participating in drug take-back day include Bloomington Police Department, 305 S. East St.; Normal Police Department (with Project Oz’s Youth Action Board), 100 E. Phoenix Ave.; Danvers Police Department, 105 S. Broadway; Heyworth Police Department, 108 S. Buchanan; McLean Police Department, 110 S. Main St.; El Paso Police Department, 540 E. Main St.; Minier Police Department, 110 W. Central Ave.; Woodford County Sheriff’s Office, 111 E. Court St., Metamora; Morton Police Department, 375 W. Birchwood St.; Live Well Streator at Streator City Park, southwest corner parking lot on Hickory Street; Pekin Police Department, 111 S. Capitol St.; and Decatur Police Department, 707 W. South Side Drive. 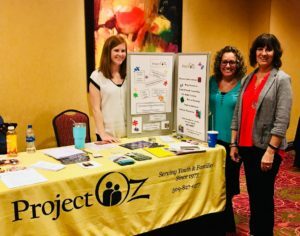 Project Oz was well represented at the Monday, October 8, 2018 McLean County Behavioral Health Forum in Normal, IL. At the 2nd Annual McLean County Behavioral Health Community Forum, the day was intended for all members of the community, and also included a day of sessions for adolescents aged 12 and older. The County of McLean shared what it has to offer with regard to behavioral health, how to get involved, how to help individuals with behavioral health concerns, and self-coping strategies. 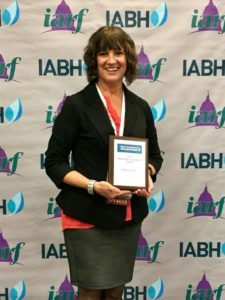 Congratulations to Joanne Glancy, winner of the 2018 Illinois Association for Behavioral Health Prevention Leadership Award. Joanne has committed 32 years of energy and talent, bringing public attention to the need for prevention and fostering the growth and development of the Illinois prevention movement. Because of her dedication, countless young people have developed the skills they need to make safe, healthy choices and to achieve their goals. A school youth specialist will be added at Normal Community, Normal Community West and Bloomington high schools for the 2018-19 year through the Youth Empowered Schools (YES) Program with Project Oz. Jay Shannon, YES program manager, said the program has been implemented in Normal-based McLean County Unit 5 and Bloomington District 87 in the past but was reduced over the years due to funding issues. Now, the program is funded by McLean County United Way, State Farm Foundation and Unit 5. The District 87 school board will discuss joining the funding partnership at an upcoming board meeting. 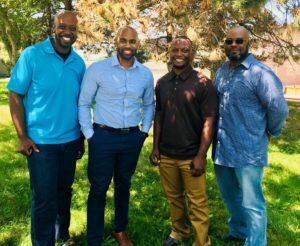 “The ultimate goal of the program is to help students graduate high school on time and provide mentoring, counseling and conflict resolution services to show just how successful they can be,” said Shannon. During the last three years, 93 percent of seniors enrolled in YES graduated on time and 86 percent of underclassmen stayed on track to graduate on time, according to Project Oz. The program specialists are Matthew Coates at BHS, Andrew Bennett at NCHS, and Robert Harris at Normal West. The counselors also will address “supplemental cases” for students, said Shannon. “They’d be available for any student to talk to and connect with about day-to-day concerns,” said Shannon. “We have to be holistic for youth in our community and we should build resources around them, especially at school — a place they spend nine months out of the year,” said Shannon. Dave Johnson, principal at Normal West, said the program will offer a much-needed service for students. “For students with the greatest needs, it provides another avenue to help them. 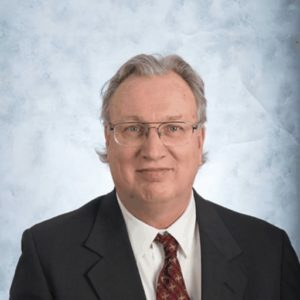 The program will go beyond the school day and beyond the expertise and abilities currently in our school,” said Johnson. The specialists also will work closely with families, said Johnson. “If a student becomes homeless, Project Oz can help them find a place to live, which is a resource a school usually can’t provide. This creates a better path for families,” he said. Barry Reilly, superintendent of District 87, said each counselor brings a personalized touch to the role. “This is a position that does a lot of intervention, promotes leadership and helps kids who are struggling in school, socially and academically,” said Reilly. Many schools are expected to provide mental health services despite limited resources, said Reilly. “Classroom teachers are having to act as mental health providers. 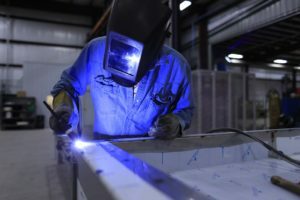 Programs like this help offer support to schools. The level of expertise they’ll bring to the building plays a critical role in helping youth and families in our community,” said Reilly. PLEASE SIGN UP HERE TO FOLLOW ALL OUR NEWS! This entry was posted in News, Prevention, Updates and tagged drug abuse, education, health, high school, jobs, mentors, prevention, Project Oz, youth. Bookmark the permalink. Both comments and trackbacks are currently closed.